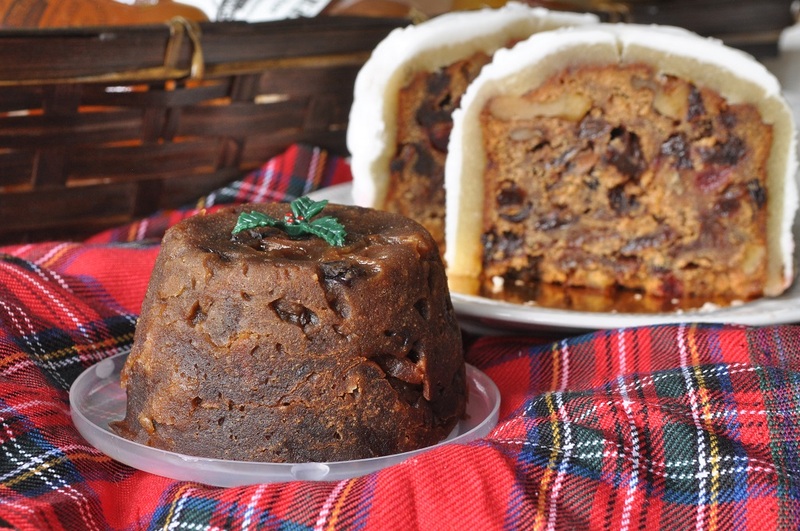 For our next review in the “Twelve Gifts of Christmas” series, I have chosen the other gluten-free products I received: an individual Christmas cake and pudding from Very Good Food, another Sussex-based company. I know that I probably should have spaced the gluten-free products out over the twelve days, rather than doing the brownie and these back-to-back, but I couldn’t wait any longer to try them. 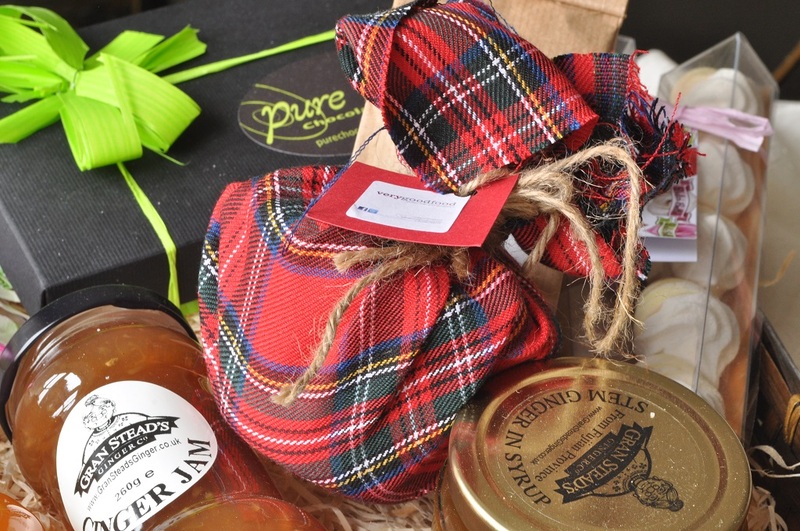 After all, the gay tartan wrapping on the Christmas pudding was the very first thing that caught my eye when Rosemary and Pork Belly delivered the prize hamper. And the miniature desserts were just so adorable! I have remaining untouched and tolerantly amused by the cupcake fad, but admit that pint-sized versions of puddings make me smile. They have a daintiness and charm that always appeals to me. 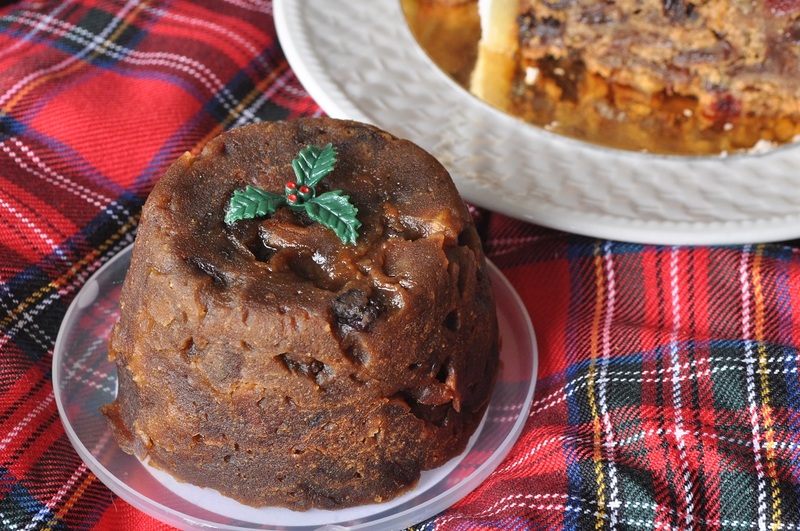 Although I don’t suppose one can ever truly call a Christmas pudding dainty! 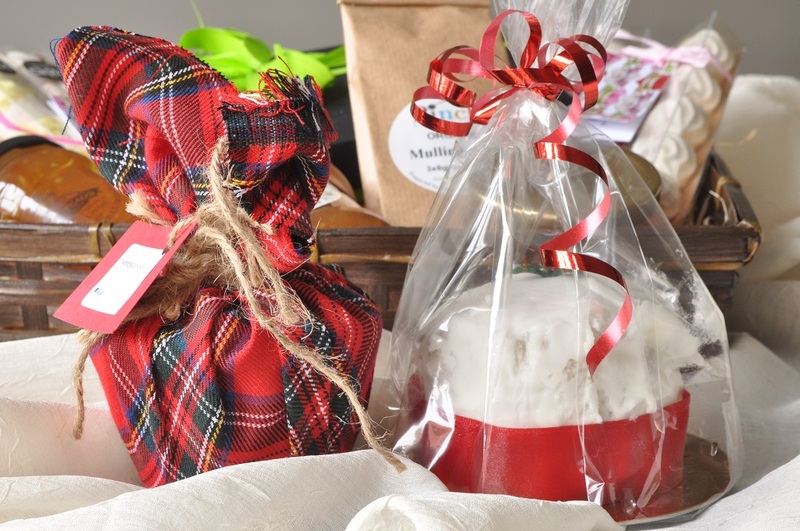 Once the tartan wrapping was off of this one, I was delighted to find that it had arrived in a reusable plastic cup with graduated measurements marked on the side–so handy! I love it when companies use packaging that can be kept and used, rather than just thrown away. 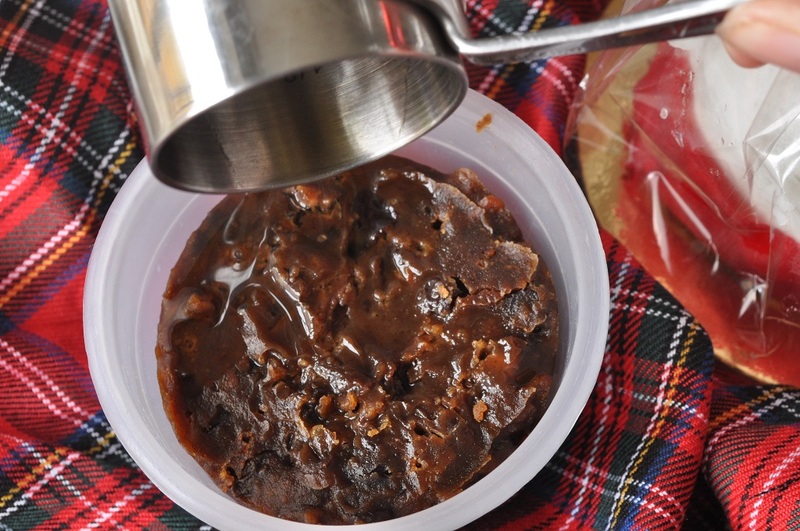 The instructions on the lid said to prick the pudding with a fork, pour a tablespoon of brandy or rum over it, and then microwave for 60 to 90 seconds. 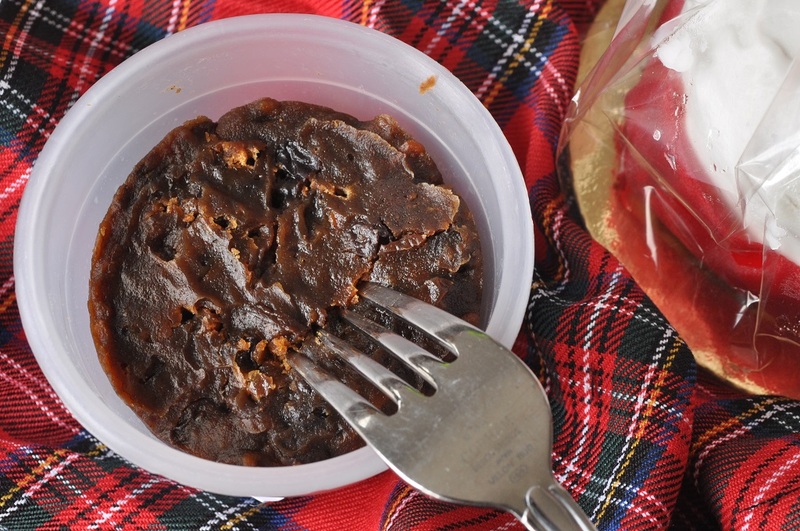 Luckily, I actually did have some rum in the cupboard from making figgy pudding (you can get the recipe here), so was able to do it properly. And I was glad to try a Christmas pudding made with carrots at last. I’d heard of recipes that called for them, but hadn’t ever tried one before. I don’t know if it was the carrots that made this pudding so moist and sweet, but at any rate, it was delicious. And then I got to slice into yet another Christmas cake. Believe me, I am not tired of it yet! 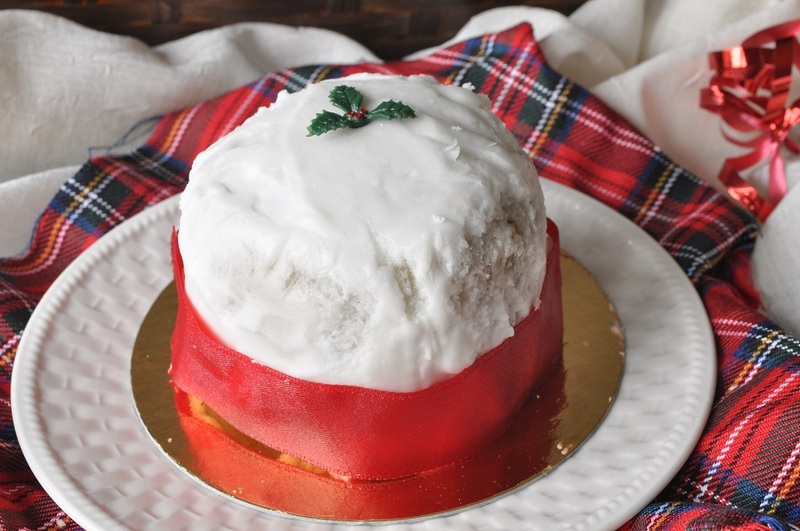 The icing on this cake was still soft and creamy, and the marzipan was wonderfully fragrant. Inside, the cake was tender, yet sturdy enough to support all the fruit easily–nothing to indicate that it was gluten-free. This cake included prunes, which I didn’t like quite as well as the dried apricots in The Carrot Cake Company’s Christmas cake, but still, I was very sorry to see the last bite of it disappear. 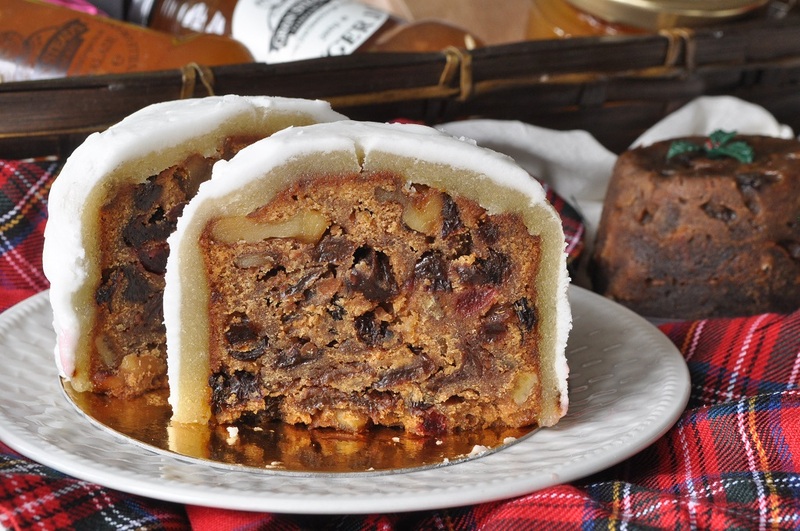 Although it is an individual cake, it makes an acceptable amount for two people to share–a nice way for a couple to be able to enjoy a Christmas cake without having to keep eating it all the way through January! The proprietor of Very Good Food, Veryan Young, also gives cooking classes, so if you are looking for someone to teach you how to make delectable gluten-free pastries and desserts, you should definitely look into her courses! You can read a review of her classes here, and a feature on the company over at Rosemary and Pork Belly’s blog. You can also see more products and a sample cooking class menu at Very Good Food’s website.